With the Smart Paperweight, the over 1,000-year-old paperweight has taken on a new function. Designed for calligraphy beginners, it makes practicing calligraphy easy. Modern laser projection technology combined with a smartphone projects the lettering on rice paper. It can also project an animation for beginners to follow demonstrating the order in which each letter should be written. 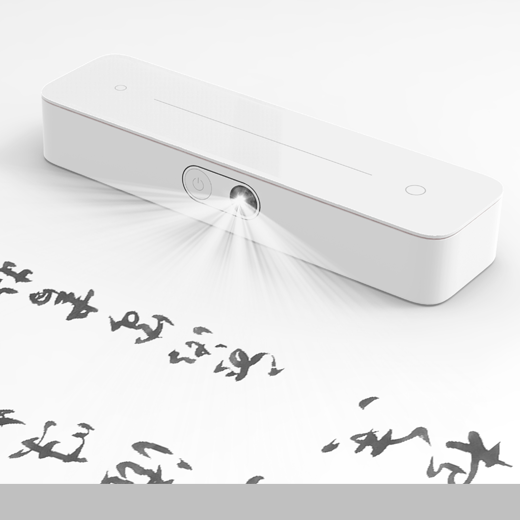 Smart Paperweight connects technology with culture, providing a new and interesting way to learn calligraphy, and connects more people to calligraphy and new cultures. The simplistic nature of the design was chosen to demonstrate that calligraphy is easy to learn.